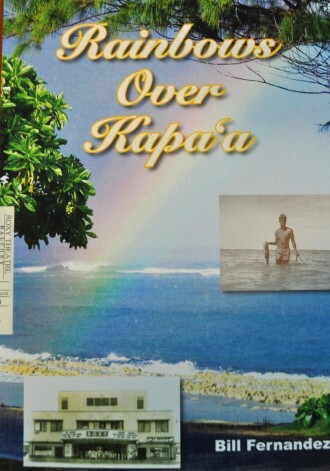 Book: Rainbows Over Kapa'a, tells the story of his Hawaiian family and their large movie theater built in Kapa'a in 1939. 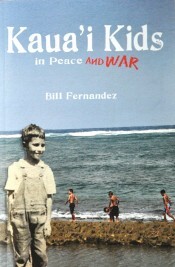 Book: Kaua'i Kids in Peace and War carries you from Bill's innocent days in the 1930s when his adventures trying to find Santa Claus in the mountains, and challenging the local reef with his ironing board surf board, came to an abrupt end by the shocking attack on Pearl Harbor and its aftermath. Gas masks, curfews, blackouts, and racism against his Japanese American neighbors, friends and family shocked him. Read about the U.S. military occupation of the islands from his kid's eyes. Beaches were off limits, lined with barbed wire. World War Two changed his life. Book: Hawai'i in Peace and War, as he describes his years at Kamehameha Schools during the war (1944-1949) which changed him from the barefoot dreaming kid to a Stanford University Student.